Email continues to play an integral role in online marketing for many different businesses, especially independent insurance agents. 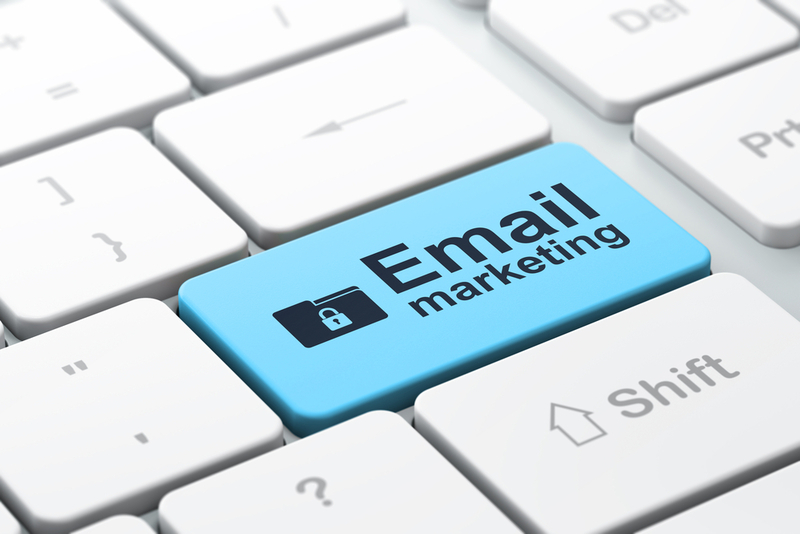 Through effective email practices, you can send a customized message directly to your target audience with the click of a button. Taking things a step further with EZLynx Marketing Campaigns, we allow agents the option to select their audience and customize their message. You can search through a library of unique content and design templates to best suite your message and target base. However you want to reach your clients, you should know your audience before you begin planning your campaign. Who do you want to reach? Whether it be customers enrolled in a certain policy, or narrowing down a community-specific message, knowing who you want to reach is crucial. With EZLynx Marketing Campaigns, you can communicate with all of your clients in one place, and see your results as well. The recently enhanced interface allows a user-friendly and productive experience. A nice way to remind your customers that you appreciate them is to send them an email on their birthday. With EZLynx Marketing Campaigns you can import your clients and their birthdays, and send a mass but customized email each month for respective customers birthdays. You can also choose between a myriad of templates and messages, or create your own custom message. Adding a personal touch reminds customers that you appreciate not only their business but them, as well. Who doesn’t like to be reminded that they are appreciated? Your customers come to you for their insurance needs because they like and trust you. People can go literally anywhere for insurance coverage, which is why it is important to build relationships with your customers. Staying in contact with clients, more than just letting them know their policy is about to expire, is crucial for client retention and long-term relationships. Insurance is a people business, and getting to know the people who keep you in business is a great way to ensure a long lasting business. EZLynx is excited to announce the release of EZLynx eSignature by AssureSign to EZLynx Marketplace. With help from AssureSign, one of the leading providers of electronic signature software, EZLynx has developed a safe and secure way to send electronic documents for signature directly from the EZLynx Rating System. 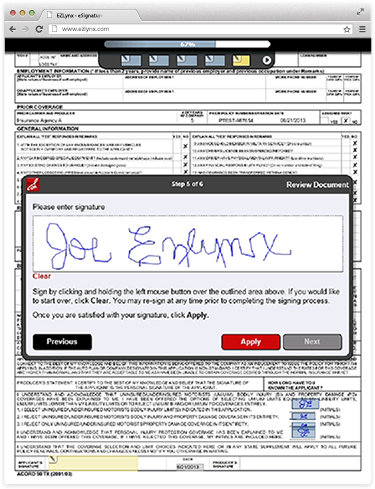 This Marketplace application was designed to provide a user-friendly interface, which is demonstrated with an “easy to use” four step eSignature Envelope Wizard. Once an eSignature Envelope is created and sent to the consumer, they receive an email with a link to the document. The consumer can easily read the document and sign, right from their computer or mobile device. After the consumer signs the document, the agent can view the signed document in EZLynx. The EZLynx Rating Engine made EZLynx the first company to come out with a comparative rater that delivered instant, accurate rates for dozens of different insurance carriers, all from the same set of information. Our vision was to develop a cutting-edge, comprehensive online program that acts as a liaison between an insurance agency and the carriers it works with. Rather than your having to input the information separately to get a quote from each carrier, the EZLynx Rating Engine does all the work for you. Once the customer information is in, it fetches real-time accurate rate quotes from all the carriers you selected. Since then, other companies have tried to duplicate our success, but we still believe that the EZLynx Rating Engine is the best comparative rater available. In the years since we introduced our comparative rater, we have worked to make it even easier to use. Now, not only can you fetch the rates, you can also integrate the EZLynx Rating Engine into your website so individuals can get rate quotes from their computers and mobile devices. Because people are becoming increasingly inclined to search for information online before they contact an insurance agent, this helps you capture customers without having to do any work. Once they see the rates through your consumer quoting portal, they will be ready to call you to set up the policy they have already chosen. How much easier could it get? We haven’t stopped developing the EZLynx Rating Engine, either. In the last decade, we have introduced a suite of agency workflow solutions that save you time and provide your customers with the best possible service. In the coming years, we will continue to improve our comparative rater to help you do your job well. We plan to maintain the EZLynx Rating Engine as the simplest way to gather accurate insurance rates. Cloud computing allows an independent insurance agent to obtain the same computer services that a large insurance company enjoys by obtaining them through a service agreement with a Software as a Service (SaaS) vendor. For more than a decade, EZLynx has been helping insurance agencies run more efficiently. Now we offer four levels of agency management and digital marketing suites to suppliment the EZLynx Rating Engine. EXLynx Agency Suites, ranging from basic to a full enterprise system, includes a number of features to help streamline your workflow, generate new business, and retain exising customers. Whether you choose EZLynx’s Basic Package, Standard Package, Advanced Package, or our Enterprise Package you will get access to innovative solutions that rival the proprietary systems of the largest insurance companies. Since the software resides on our secure server, you avoid the major investment in hardware and software. Changes are easily and reliably added by EZLynx without interruption of your daily operations and involvement of expensive IT services. At the center of our product, EZLynx is powered by the EZLynx Rating Engine. This core componenet is required for all of our Agency Suites. Each package includes our robust management system. Agents can obtain any data they need from wherever they can access the Internet. The entire client lifecycle is managed and stored in the cloud. The EZLynx Internet quote system allows your customers to easily fill forms out a single time and generate a quote they can review online. If the quote is incomplete, the system will automatically email the client and request they complete the information needed. Advanced features include automatic vehicle pre-fill and other things to make the process as consumer friendly as possible. Integrating your EZLynx data with email drip campaigns allows independent insurance agents to stay in contact with clients on a regular basis rather just at renewal time. It is easy to design digital marketing campaigns that are informative and relevant – communications is one of the most important parts of successful ongoing marketing. This feature is also standard for all packages. Here your clients can easily get their ID Cards, policy documents, and request changes 24/7. Enhanced customer service helps to retain clients and saves your agency time and money. EZLynx offers powerful agency websites that come fully integrated with our Consumer Quoting and Client Center products. Generate new business with a website built using SEO best practices, offer live comparative quoting, and then service those consumers after they become customers. When you choose EZLynx as your SaaS provider, no matter what suite you select, you get an easy to implement full-service suite of services so that your agency runs smoothly. With no software needed to download, there is no reason not to try our free 10-day trial. Click here to sign up or call us at 877-932-2382, option 2. Online shopping has become exponentially more popular in recent years. Even when people purchase products in person or over the phone, they usually start by doing research online to find out what’s available and what it costs. Then, once they have decided what to buy, they will go ahead and make the purchase. Because of this trend, our EZLynx Consumer Quoting portal is more helpful than ever for growing your business. Most people know that they can get different rates from different insurance carriers, so they want to gather as many quotes as possible before making their decision. They may even compare the cost of purchasing insurance directly through the carrier to purchasing through an independent agent like you. Therefore, you need to make it easy for people to find the information they want to convince them that you can get them the best rates. Our EZLynx Consumer Quoting portal is designed to integrate easily into your website, especially if you’re already using our EZLynx Agency Website service. When potential customers visit your website, they’ll be able to enter information about their vehicles directly into the consumer portal and obtain quotes from all the carriers you use without ever leaving your site. Having quotes available on your site means people will be much more likely to stick around to make a purchase. We designed our consumer portal to be streamlined and simple to use by incorporating several features that consumers love. For example, we have optimized forms that allow people to fill in their information very quickly. Our vehicle pre-fill feature even uses the information entered early on to look up the specifics of the vehicles consumers may be interested in insuring. These features increase the likelihood that consumers will go all the way through the process of getting a quote. Once people have obtained a quote, we make it easy for you to follow up. The information consumers enter goes into the EZLynx Management System to help you manage your work flow. We’ll also help you send automated marketing emails to encourage consumers to get a new quote if they do not make a purchase on their initial visit. If they don’t finish the process of requesting a quote through the consumer portal, we can also send automatic emails to remind them to come back and finish up. In addition, our analytics tools make it easy for you to see at a glance what types of people are requesting quotes and where they’re coming from, so you can better target your advertising. When you’re looking to provide a valuable service to people shopping for car insurance, EZLynx Consumer Quoting is the way to go. We the first to create a powerful consumer quoting portal for insurance, and we are continually improving it to keep you on the cutting edge. In an age of digital marketing and search engine optimization, insurance agencies need cutting-edge features, websites and informative solutions to reach a wide audience and bring in new customers. Although professionals working in agencies understand that SEO is an important part of improving the ability to reach new clients, it is not a simple process to create a website that appeals to a wide audience and is optimized for the web. That’s where EZLynx Agency Websites comes in. EZLynx Agency Websites are used in conjunction with a full agency suite of services that help a company manage customer data, keep track of options and provide quotes. The websites are designed around the needs of an insurance agency to bring in more web traffic and make the site easier to find. EZLynx will build the website for the agency with professional search engine optimization so that the company is easy to find. After the website is built and prepared, it is then hosted by EZLynx and will work seamlessly with the customer quoting and client center provided by EZLynx. The success of insurance agencies hinges on maintaining consistent customer satisfaction and providing the tools a client might want when looking for coverage, adding to a plan or keeping track of current insurance. With EZLynx Agency Websites, the full suite of services will work in conjunction with the basic website design to help the insurance agency manage client information more efficiently. The services will allow insurance agencies to access the rating system, management system and marketing services. By keeping the services in one place, an insurance agency is able to provide superior support to clients. Marketing requires several different tactics and strategies. Inbound marketing, or making a website that is easy to find when potential clients are looking for specific information, is a simple way to improve the growth of the company. The professional SEO services provided when a website is designed by EZLynx will increase the ability to reach out to the target audience. When used with the maintenance tools provided by EZLynx that are available in the suite, an insurance agency can keep track of growth, make changes to the company when it is necessary and ensure that every customer is getting the best services available. Improving the customer experience with online tools is the best way to encourage growth and professionalism in an insurance agency. As more customers look for information over the Internet, incorporating inbound marketing strategies will provide opportunities for growth. A business is able to exceed the expectations of customers with a well-planned website design. If state lawmakers have their way, Missouri may soon join six other states currently bringing insurance companies into the digital age. SB317 is a state bill that allows motorists in Missouri to present digital insurance cards on smartphone devices as proof of insurance during a traffic stop. Up until now, motorists were instead required to produce paper copies of valid insurance cards, which have long been a source of frustration for drivers who are insured, but have not replaced expired cards with new ones. So far, the bill received support in the Senate and now moves on for approval in the House. If it’s signed into law, Missouri will join Alabama, Arizona, California, Idaho, Louisiana and Minnesota in allowing use of digital insurance cards during traffic stops. But a year from now, that list could triple or quadruple in size. The New York Times reports that at least 21 more states are eyeing digital insurance bills, with many of them having already made great strides toward legislative approval. Though the prospect of using digital insurance cards is exciting, for insurance agencies and consumers the legislation is long overdue. For far too long, consumers have been demanding a more streamlined insurance experience that eliminates a complicated paper trail. But because digital insurance cards have not been legally recognized in the past, insurance agencies have remained in the dark ages. Now that state governments are catching up to consumer demand, insurance companies are forced to step into the digital age to remain relevant to consumers and competitive in their market. One company – EZLynx – has been ahead of the curve, anticipating the demand for digital insurance cards and making it possible for insurance agencies to provide them to policy-holders at the drop of a hat. EZLynx has revolutionized the way agents interact with their clients. In addition to a state-of-the-art website, real-time consumer quoting and comprehensive office management tools, EZLynx Management System works in tandem with EZLynx Client Center, allowing policyholders to access digital insurance cards and other policy documents. This web-based customer service portal easily integrates into an insurance agent’s website, where it will always be handy to consumers during a traffic stop or collision, or when providing proof of insurance for vehicle registration. If your agency has yet to implement digital insurance cards into your business structure, you can’t afford to wait any longer to embrace the insurance technology that will revolutionize your business. If your state hasn’t yet adopted digital insurance cards, it’s only a matter of time before it will. If your state is already on board, your agency may already be falling behind. Let EZLynx simplify your office and make your agency more relevant to the demands of your market.